Preparation is always necessary when building both residential and commercial buildings. This is true anywhere in the world, not only in North Carolina. Insufficient and improper preparation is almost always the cause of future problems like unstable structure, flooding and uneven land surface. Sitework and light grading should be done as part of the preparation process. These two services may be different in their specific definitions, but both of them are certainly similar in terms of their goal— to ensure the quality and safety of the structures. Sitework is defined differently by different people. For some, it is as simple as chopping the trees and trimming the grass. 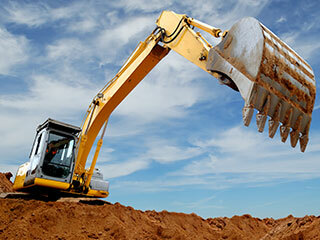 But in its broadest sense, sitework is any work done to prepare the land for building a structure. Some of these works are done before the actual construction, while some are accomplished when the structure is already built. Chopping the trees as well as trimming the grass is a before-work type of sitework. Besides this, digging the foundation hole and installing the foundation are sometimes also included in the sitework. Building the septic system or hooking it up to the municipal sewer is also part of the sitework. Even drilling a well or connecting to the local water utility provider is part of this. All these mentioned works are ideally done before commencing the construction job. Installing the driveway, walkway and landscape is mostly done after completion of the sitework. Technically speaking, light grading is a part of the sitework. But this is an extra important part of the job that deserves a special part in our list of services. Generally, land/landscape/lawn grading is closely examining the soil, land and area to see if these are ready for the planned landscape design. If not, then the grading is done to determine the possibilities and limitations in the area. The actual examination is followed by adjusting the landscape elements to make them more appropriate for the plan or at least, be safer and more comfortable. Light grading, as its name implies, is the simpler kind of grading. For example, soil testing has to be included if the landscape plan includes taming of plants that require special type of soil. Soil in the USA is usually deficient in alkaline, acid, salt and iron. Our expert gardeners are well trained in different techniques to transform a clay soil, for example, into a perfect fertile soil. The land's evenness is also checked in light grading. Uneven land can be disastrous especially if the slope is perfect for a land-based basin of rainfall. This light grading technique is often necessary as preparation for building the patio, garden or retaining walls. Mini excavator, skid loaders and similar mid-sized equipment are typically involved in light grading. Unfortunately, many areas in North Carolina are not that perfect for building any structure right away. 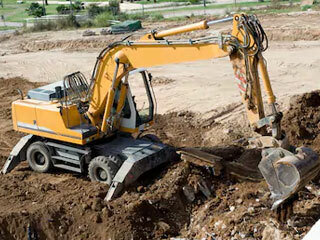 Grading, excavation and hauling debris or excess soil from the site are always necessary. Ease your worries by hiring Seasons Unlimited Inc. With our professional sitework and light grading services, we can transform the area to be the perfect location for your dream residential or commercial building.